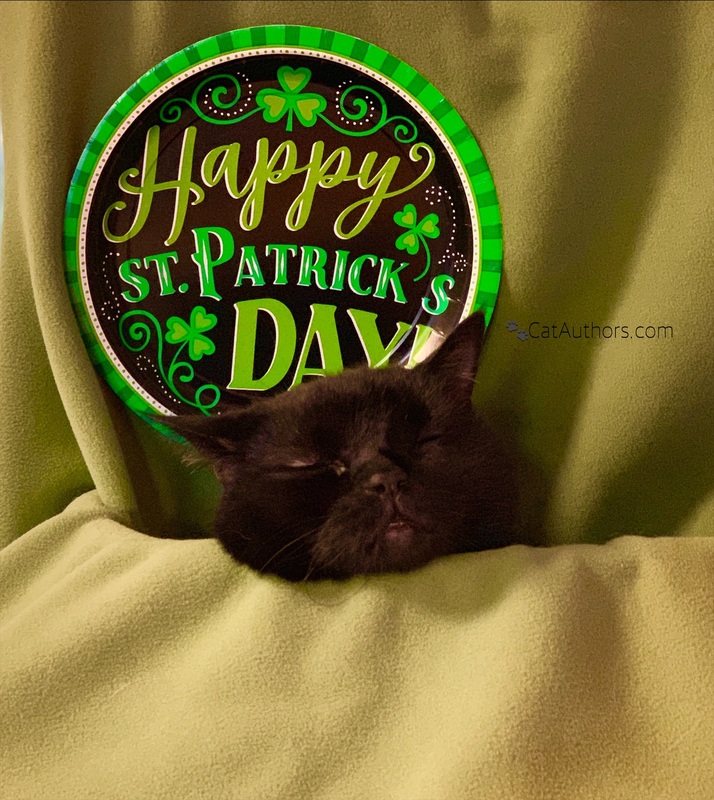 I'm not entirely sure what our hooman has planned for Saint Patrick's Day. But, I want to be ready so I'll start restin' up right here, right now. Then, before she wakes up, I move up the stairs, jump on her bed, curl up & go back to sleep. Then, when she wakes up, I'm the first feline she sees! I go into my purr mode immediately. Can't help it. And, if she could purr, she would be so happy to see me, she'd purr. Yes, there are other cats on the bed -- Spirit & sometimes the girls. Have a Happy Patrick's Day! !